Vocalist, Vocalist - Bass, Vocalist - Baritone, Vocalist - Tenor, Vocalist - Soprano, Rhythm Guitar, Lead Guitar, Acoustic Guitar, Bass Guitar, Drums, Other Percussion, Trumpet, Saxophone, Keyboard, Piano, Background Singer, Harmonica, Flute, Other, Vocalist - Alto, Trombone, Upright bass, Clarinet. been playing drums since I was 8. along the way, I've had the pleasure of playing with some of the best people I have ever met. among them...horace young and dave jarvis (both taught me at wsu) and even got to sit in with jane monheit a couple of times, which was amazing! I totally love jazz, but at the same time, other stuff is really fun to play and just mess with. I also play drums at metronome coffee's open mic nights on occasion, which is a total blast! I have had the pleasure of sitting in with some great musicians...jane monheit being the notable one. that felt like playing in front of 100,000 people at the rose bowl in 2003...yeah, i was in the marching band, but something i would never trade for anything! :) i always want to add more projects, so hit me up if you're interested and lets see what happens! SPL 4 piece studio jazz kit, a combination of arborea and sabian cymbals (arborea dragon ride and ghost hats). 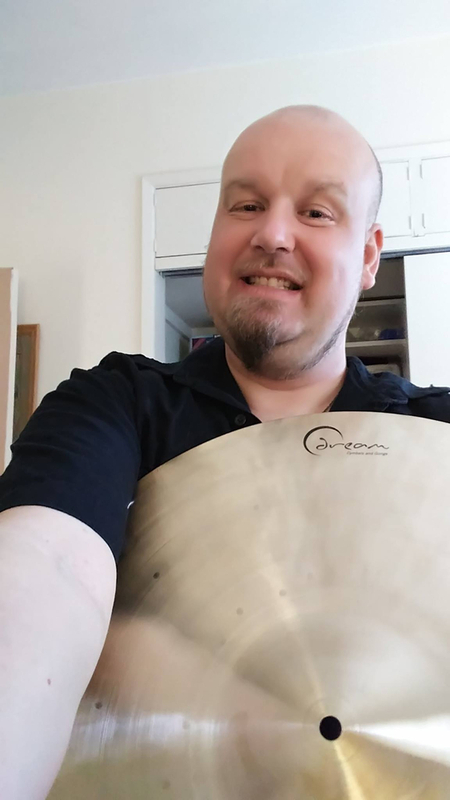 for recording sessions and small venue gigs, I use a 22'' dream vintage ride and a dream 20'' thin ride for a crash/ride. 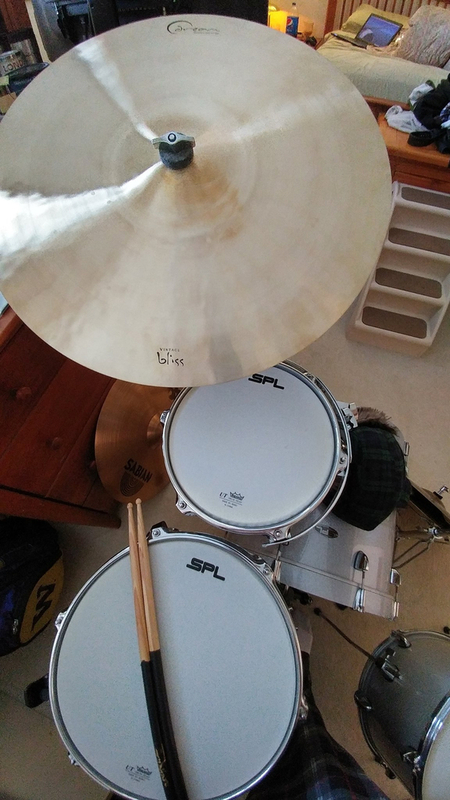 zildjian 5B dipsticks are my fave since they give me a really nice "pingy" sound on the cymbals, no matter which setup I use and really brings out the full sound of each drum without overdoing it with the sound.